4K VS 1080P: Which One is Better? Just like 720p, the 1080p will fade away in the soon future. Nowadays, the 4K begin to dominate the market. When someone ask "4K and 1080P, which one is better?" The answer is obvious that 4K is the winner. Maybe, some day 4K will dribble away, but now it the winner. Read on to find out just what 4K is, how it differs from 1080p high definition, and most importantly – why 4K UHD is so much better than 1080p HD. What Is the Difference Between 4K And 1080P Video? 4K is known as Ultra High Definition (UHD), whilst 1080P is simply labelled High Definition. As their names imply, 4K UHD has a considerably higher resolution than 1080P HD video. 4K resolution is exactly 3840 x 2160 pixels, whilst 1080P consists of 1920 x 1080 pixels. The 4K designation refers to the close to 4000 horizontal pixels. Traditionally, resolution had been labelled according to vertical pixels and in the case of 1080P, 1080 vertical lines make up that high definition resolution. By comparison, 4K features 2160 pixels vertically; a considerable increase. At an aspect ratio of 16:9, 4K contains almost four times the number of pixels on a screen compared with 1080P technology – more than eight million pixels for 4K and just two million pixels for 1080P. This massive difference brings about some important advantages for 4K when one compares it to the quality of a 1080P video. Why is 4K Video Better than 1080P? Ultra High Definition televisions using 4K technology are able to reproduce the most intricate of details in a noticeably higher contrast fashion, thanks to the existence of quadruple the number of pixels in comparison to 1080P. This is considered the greatest advantage of the 4K video standard. Thanks to the large increase in resolution that 4K has compared with 1080P, it allows the viewer to be positioned much closer to a large screen while enjoying a clearer picture. In fact, the optimal recommended viewing distance for a 4K television can be twice as close as a regular TV. This is because 4K is experienced at its best when sitting closer; sitting further back means you often won’t experience its maximum benefits (although still undoubtedly able to enjoy its supreme clarity, regardless of the distance). People is such a creature – can’t go back to the past when you’ve enjoyed something in higher level. When you’ve enjoyed the movies by sitting on the sofa, if I asked you to watch the same videos in 1080p, you may feel something strange. However, not every movie is in 4K resolution. This post will recommend you the best 4K video convert – which allows you to upscale 720p/1080p to 4K video. And convert 4K MKV, 4K M2TS, 4K AVI, 4K XAVC, 4K MOV to 4K MP4 in H.264 or H.265 codec. 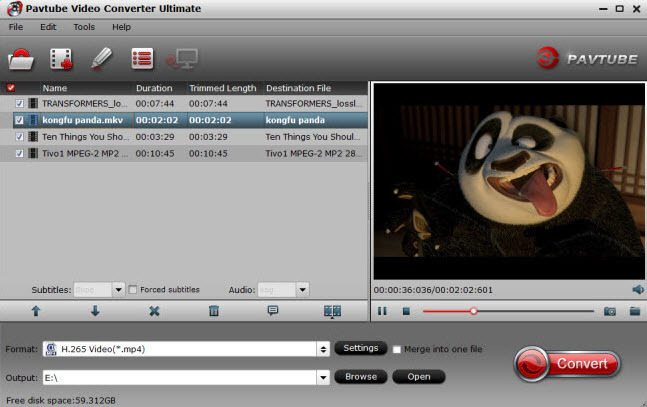 It is called Pavtube Video Converter Ultimate for Windows/Mac (best 4K Video Converter Software Review). How to convert and upscale SD/HD/2K to 4K? Step 1: Add SD/HD/2K videos. Open the program, click "File" menu, from its drop-down option, select "Add Video/Audio" to load SD/HD/2K video to the program. From "Format" bar drop-down list, choose the formats that you want to output for later use. For compatibility consideration, it is idea for you to choose "Common Video" > "H.264 HD Video (*.mp4)" as output file format. 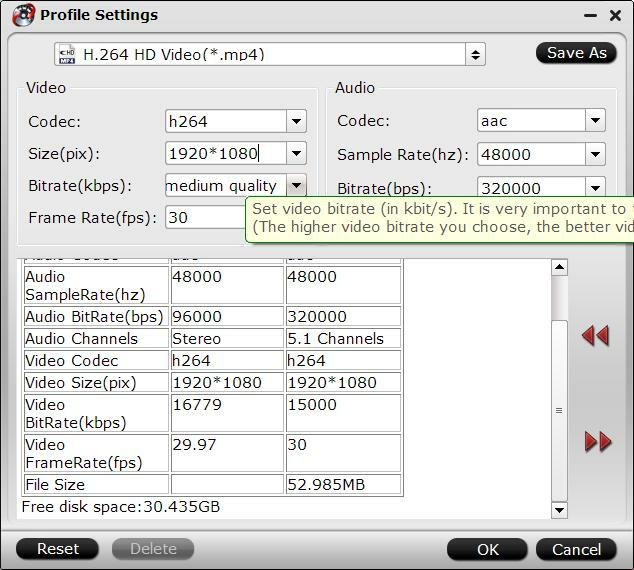 Or you can choose "H.265 HD Video(*.mp4)", which offers the same video quality but be in half size of H.264 video. Step 3: Upscale SD/HD/2K to 4K. Open "Profile Settings" window, click "Size(pix)" to select/type in 3840*2160 as the final resolution for output video. Step 4: Start SD/HD/2K to 4K conversion. After all the settings is completed, hit right-bottom "Convert" button to start to convert and upscale SD/HD/2K to 4K format videos. How to Import and Edit 4K Video with iMovie on Mac OS X El Capitan?